Nizam ul Haq Thanvi recites prayers from the Quran for victims of last week's terror attacks on New Zealand mosques. 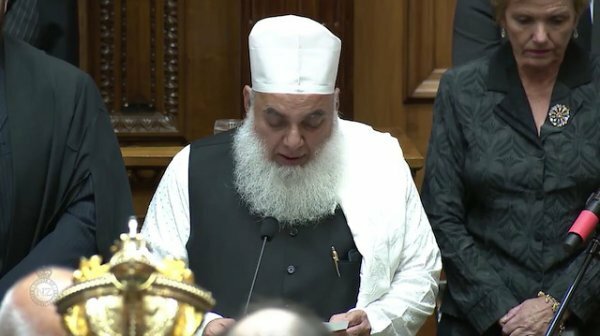 A Muslim imam on Tuesday led prayers in New Zealand’s Parliament, meeting for the first time since last week’s terrorist attacks on two mosques claimed 50 lives. Nizam ul Haq Thanvi recited verses from the Quran, in Arabic, for the victims of last week’s massacre of peaceful worshippers. A translation into English by Imam Tahir Navaz followed. 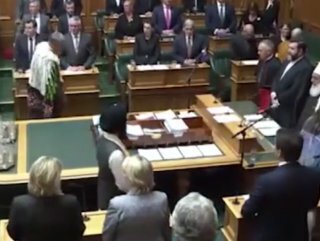 New Zealand Parliament Speaker Trevor Mallard also called for unity and solidarity, and Prime Minister Jacinda Ardern spoke the Islamic greeting "As-salamu alaykum" or "peace be upon you." "They were New Zealanders, they were us. Because they were us, we mourn them," she said of the attack’s victims. 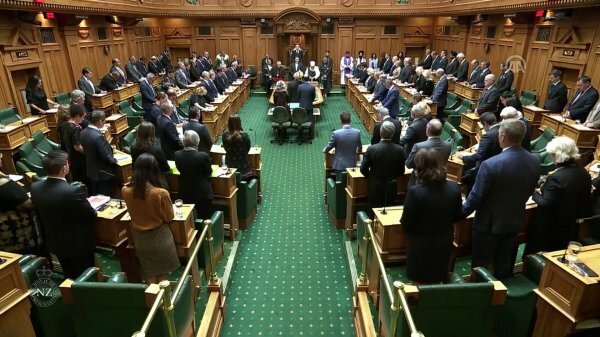 The session comes in the wake of last week’s terror attacks, when a terrorist opened fire on worshippers during Friday prayers at the Al Noor and Linwood mosques in Christchurch, leaving at least 50 people dead.